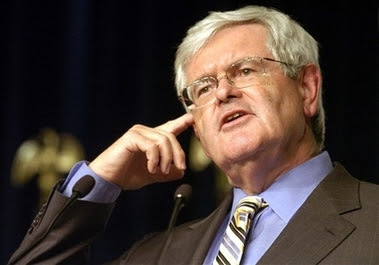 Schwinn: "Gingrich's Fake Mea Culpa"
I..can't quite...remember...was she really 23 years my junior? Man, I ROCK! WASHINGTON - Former House Speaker Newt Gingrich acknowledged he was having an extramarital affair even as he led the charge against President Clinton over the Monica Lewinsky affair, he acknowledged in an interview with a conservative Christian group. The fact that he would reiterate how intolerable "perjury in your highest officials" is within hours of the Libby verdict just shows how bad he wants into the GOP primary race. As his 2nd wife said in 1995, "I don't want him to be president and I don't think he should be."